REMOVE the skin of the chorizo if needed and chop into small pieces, as tiny as possible. PEEL and finely chop the shallot. COMBINE ground beef with finely chopped chorizo, shallot, egg, mustard, pepper and salt. 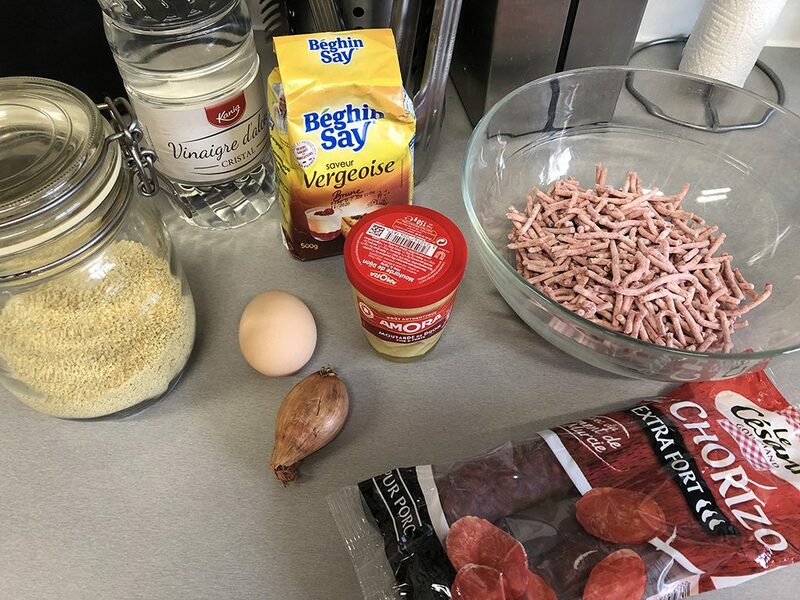 ADD a small handful of breadcrumbs, until you can make meatballs. 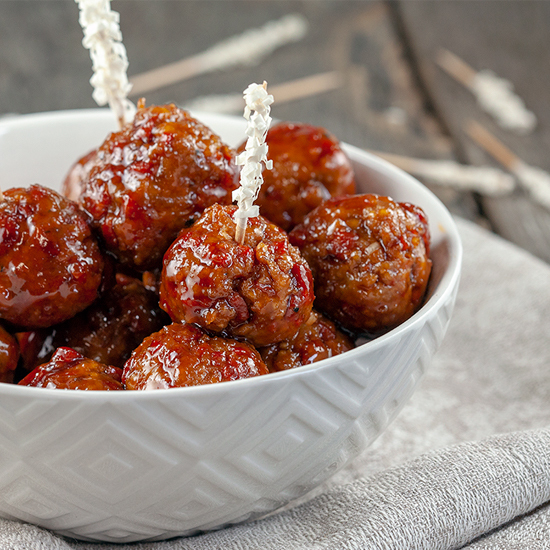 Use your hands to create small meatballs and set them aside. HEAT a knob of butter in a medium-sized skillet and cook the tiny meatballs a few minutes on medium-high heat. 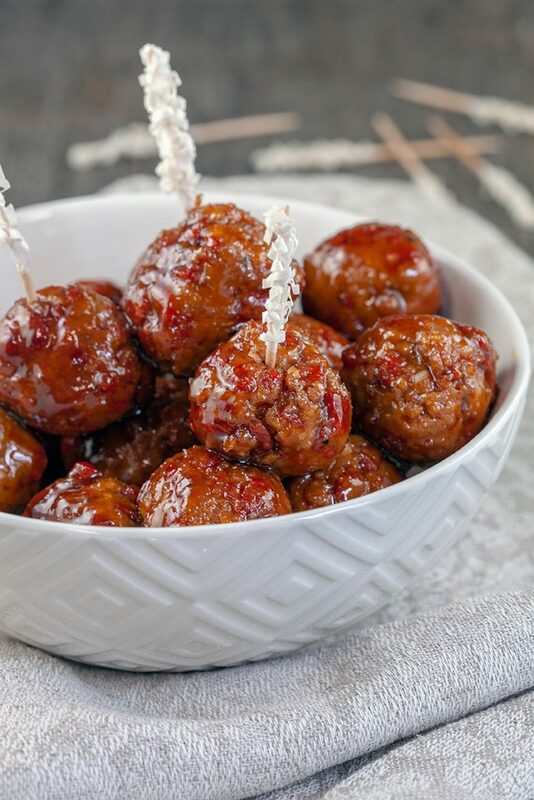 TRANSFER the meatballs to a bowl and pour vinegar in the skillet. Be careful because the vinegar fume isn’t great for your eyes and lungs. STIR brown sugar into the skillet and as soon as it has dissolved you can add the meat balls back to the pan. 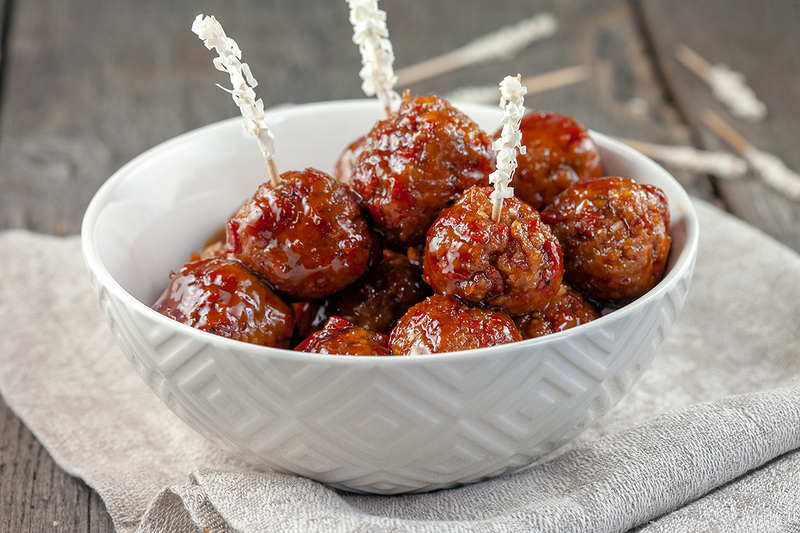 Make sure the meatballs are done and completely coated with the sugar and vinegar mixture. SERVE immediately, enjoy!